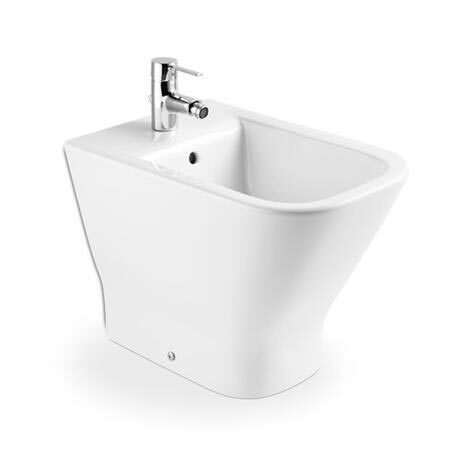 A compact modern stylish floor standing vitreous china back to wall bidet, transform your bathroom with one of our contemporary designer bidets from Roca's The Gap collection. Manufactured by Roca using the best materials and production methods, this means products are more resistant, durable, easy to use and maintain. Includes a floor fixing kit. Make the most of the space you have in your bathroom with the Gap floor-standing bidet from Roca, with its back to wall element, you can utilize the space you do have. It is made from vitreous china making it robust and hard wearing, and has been finished in a gloss white polish for that extra sense of style and class.